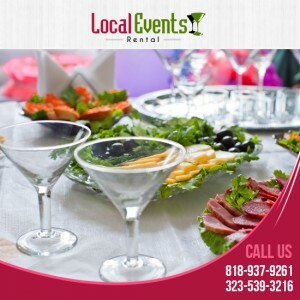 Local Events Rental, with over 15 years of experience, market leader in the development, production, sales, structures and party supply rentals in Los Angeles areas. A corporate or private party, exhibition, open house, VIP village, festival and more. Local Events Rental always makes for a creative and innovative interpretation. Our range is very extensive, our tent structures safe, aesthetically pleasing and surprising. From the smallest to the largest party tent structure with a gabled roof, arched roof or gable roof, with floors, windows, doors or other accessories: for any event Local Events Rental offers a unique indoor solution. Our professional events team thinks, and makes for any organization a customized proposal. Modern, classic everything is possible. Thanks to our comprehensive approach, you do not have to worry. We worry if desired for flooring, heating and air conditioning, lighting, power, upholstery, carpeting, toilets, landscaping and interior. Punctuality is our highest priority. We really do what we promise. The Local Events Rental are known for their high quality party supply rentals at an affordable price, since the entire design and production process carried out in-house and is followed. Safety is key: Local Events Rental is certified company in Los Angeles, CA. The structures meet the strictest and most recent American construction standards. The versatile range, the handsome designs, quality materials and professional solutions make Local Events Rental the ideal partner for an unforgettable event. Are you looking for a creative partner for your future events? Please contact our events team. We make a surprising proposal tailored to your needs.